Surprisingly, restaurants often don’t consider this really easy marketing benefit, not just for businesses, but homes, too. The typical tactic is to print take-home menus that can easily be sent home with a customer just in case they want delivery. Restaurants still to this day make quite the killing, with some of their revenue generated directly from those types of customers. What they need to realize is that they have to have those marketing items right in clear sight. Just like how some businesses would. That’s why branded magnetic holders make such a dent. 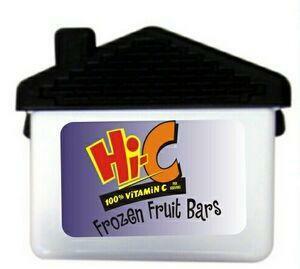 Businesses and Households Will LIKE Those Branded Magnetic Holders on Their Fridges, or Even Their Whiteboards. When it’s seen every day in passing by family member or coworker, that’s instant marketing. How can you not see that as a value? Even better is that a magnetic holder can place a take-home menu right flat on that whiteboard or fridge without a problem, and you’ve got amazing turnkey decision-making for your customer, a fast solution to getting dinner taken care of. Why not get it from BRAVA Marketing? Makes sense. When you check out all the selections we have on the site, with the incredibly diverse designs you can possibly have, you know you then have a wealth of creative possibilities to market your brand name, product and service that’ll more than pay for itself in spades. You want those customers to keep coming back. Plain and simple. Now if the food, atmosphere and service is already great, then you’ve got that squared away — for customers dining in. But don’t discount and leave behind the winning revenue channel. Deliveries. Keep them coming back for more with custom magnetic holders. Contact us right now to get your first delivery! Millennials have evolved the way we eat; let’s just put it that way. Long gone are the days when you simply head to the grocery store, wait in line, pay for your stuff, pack it all up, and then head home (to then repeat the process into the fridge and freezer). These days an astronomical trend in grocery deliveries has exploded on the market as a way to efficiently get your groceries delivered directly to you, which is why a lot of custom magnetic holders may make a massive difference in marketing for those companies. But Why? Why Would Custom Magnetic Holders Be Such a Game Changer? Think about it! When getting your groceries, what’s the one thing you think of the most? Your refrigerator. That’s where all your food goes. When marketing, you want to target the eyes at its most optimum, and groceries — especially grocery deliveries — hits the note right. 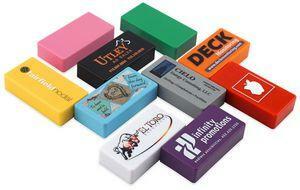 A business could send a delivery with a free customized magnetic holder, with a phone number, email address, etc. etc., and that’s the one thing every family member ends up seeing literally on a daily basis. Free marketing. No commercial advertisement or paid Facebook marketing required. All. You. Had. To Do…. Was send a darn logo printed magnetic holder. That’s it. So what are you waiting for? BRAVA Marketing has them right here. Find the design you want and then contact us right away for your first shipment customized and branded with the logo or name you want. The rest will be up to you on how you want to target your demographic in a way that’s so simple — your fridge! Who would’ve thought, right? Now it’s time to eat some grilled chicken with green bean casserole and German chocolate cake for dessert. Yum.